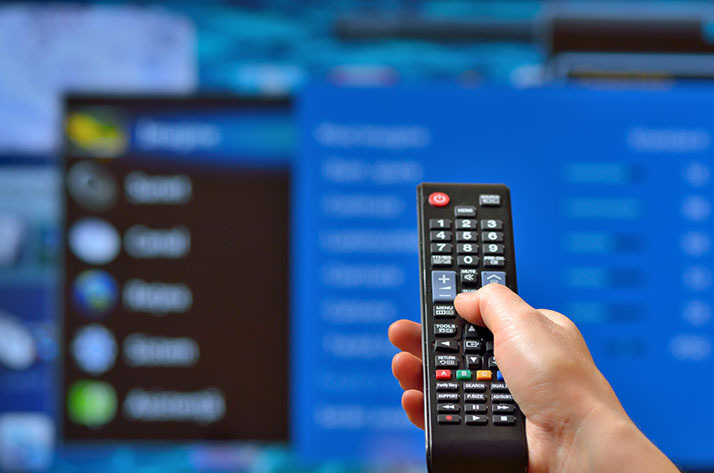 You've connected all of your devices to your television but are you optimizing your entertainment center to its fullest potential? There is more to enhancing your experience than simply adjusting the display's brightness and contrast. These tricks may help you tweak your settings to achieve the best quality possible. If you're not sure what changes you've made over the years to your television, restoring them to default settings is a good place to start. Most televisions offer an options in its on-screen menu to reset factory settings. For most situations, the 'dynamic' or 'automatic' option is best when selecting a picture mode. If available, switch this mode off at first, then determine how noticeable the quality differences are when toggling between picture modes. You should adjust your settings based on the average amount of light surrounding your television. For bright environments, you should increase the brightness and backlight. Do the opposite for dark environments and consider adjusting the black color settings if available. By default, your TV may be set to 60Hz requiring you to manually enable higher refresh rates via the settings menu. If you own a HD television and a Blu-ray player or other HDMI device, then you should select a 120Hz refresh (frame) rate. New 4K televisions support 240Hz. It's not just about image quality when it comes to optimizing your television settings. If you use external speakers, such as a stereo or sound bar, then you may have an overlapping echo of sound. Use the settings menu to disable the audio from outputting to your TV's native speakers. Alternatively, lower the volume on your TV so that it is no longer audible. Many TVs support a power-saving feature that not only extend its life but also saves you on the electric bill. These eco-friendly settings can be set to switch off your television automatically after a certain amount of time. On older TVs, screensavers can be activated to help protect pixels from burning out as a result of static images.